Our team is an excellent choice for specialised removal services like store deliveries in London. We are a professional company and we have been operating throughout the English capital for several years. Our customers know us as reliable relocation professionals that always get the job done. We have earned our rock solid reputation by working hard, always delivering packages and items on time and always meeting the needs and demands of our customers. We have the necessary equipment and vehicles to easily haul large and bulky items or immense amounts of goods. Our armada of new and clean moving vans is fitted with the necessary satellite navigation systems and safety features that will ensure the in time and safe delivery of your possessions. Even more, if you desire you can ride along and see for yourself that our licensed and experienced drivers will handle the transportation of your newly acquired belongings meticulously. Bear in mind that you don’t have to reside in London in order to benefit from our services as we maintain nationwide coverage. This means that we can deliver your items to, from or across the country. We work with a large selection of stores, so don’t worry that we won’t be able to collect your belongings and bring them to you. Even more, we promise you that we will do it ahead of your deadline. Know that we tend to keep our promises. 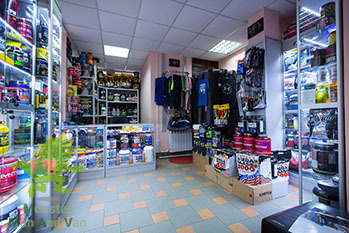 Our prices for man with van hire in London are reasonable and can fit within any budget. Even more, we do offer special discounts to our loyal clients and to customers that combine several of our options into one single service bundle. You can see how much our assistance will cost you by calling us and requesting a personalised free quote. While you are in touch with us, don’t be timid to ask about our discount and how you can take advantage of them. Our phone operators are friendly and polite professionals and will help you to the best of their abilities. With all this being said, please know that we have never activated our insurance policy as we have a 0% accident ratio. It is like this because we work diligently and always turn extra attention to all the details even the smallest ones. Feel free to explore our website in order to learn more about us and the other services that we maintain. Booking our premier quality store purchase delivery service in London is quite easy actually. Because we want you to know that you can count on us a hundred percent at all times, you just need to pick up the phone and call us. Last minute reservations are totally acceptable with us. You are going to receive a free quote in advance so that you know exactly what you are paying for. And once your goods arrive at your address, our skilful technicians will give you a hand with unpacking and assembling them as well. We are seated in London. The city lies in the southeastern parts of England and is home to several of England’s tallest buildings. The Shard is currently the tallest edifice in the United Kingdom and the European Union. It was officially opened in 2013 and is 306 metres tall. The Shard was designed by renowned Italian engineer and architect Renzo Piano. London is a major financial centre with the City and Canary Wharf being the two “commercial hearts” of the capital. Tourism is another major industry here – nearly 50 million people visit London every year for landmarks such as Westminster Abbey, The British Museum and of course the celebrated Buckingham Palace.